ITV2 is a British TV channel with 195 programs to watch online. That's more than 2,916 hours of playtime! 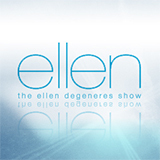 Recent popular programs include The Ellen Degeneres Show, Ibiza Weekender, Celebrity Juice, You Vs. Chris & Kem and Totally Bonkers Guinness World Records. 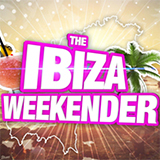 Catch Up on Ibiza Weekender and watch online. Missed an episode of Ibiza Weekender, broadcast by ? Catch Up on Celebrity Juice and watch online. Missed an episode of Celebrity Juice, broadcast by ? 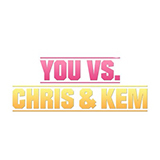 Catch Up on You Vs. Chris & Kem and watch online. Missed an episode of You Vs.
Catch Up on Totally Bonkers Guinness World Records and watch online. Catch Up on The Cube and watch online. Missed an episode of The Cube, broadcast by ? Catch up tv on Britain's Got More Talent. The search for Britain's next best talent act, featuring singers, dancers, comedians, variety, and unusual talents of all kinds. Catch up tv on Hell's Kitchen. Gordon Ramsay's culinary boot camp moves to the USA as the terrifying world-renowned Head Chef slices and dices a group of wannabe Cordon Bleu cooks and aspiring restaurateurs, to find out who deserves the top prize of their own restaurant. 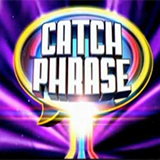 Catch up tv on Catchphrase. Stephen Mulhern hosts a brand new contemporary remake of the iconic 80s gameshow, where two contestants have to identify a familiar catchphrase from an animation clip. Catch Up on Planet's Funniest Animals and watch online. Catch Up on The Stand Up Sketch Show and watch online. Catch Up on Timewasters and watch online. Missed an episode of Timewasters, broadcast by ? Educating Joey Essex - General Election, What Are You Sayin'? Series 5 - Episode 16 30:00A hilarious collection of clips featuring the animal kingdom behaving bizarrely. Series 5 - Episode 15 30:00Humorous video clips of pets and other animals in unusual situations.